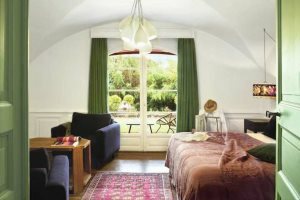 Located just outside Calvi and set in extensive grounds, La Signoria exudes elegance and real character. La Signoria is a delightful country hotel in a converted and historic manor house just a short drive from Calvi. Surrounded by lush mature Mediterranean gardens, planted with palms, eucalyptus, olives and pines, the old house has been sumptuously restored to create a luxurious yet intimate hotel. Guests can really relax in the surroundings with a beautiful heated pool and elegant terraces to relax on with the added benefit of a spa with Jacuzzi, gym and massage rooms. The beautifully appointed bedrooms and two suites are located either in the old house, or in a range of sympathetically converted outbuildings, and all individually decorated and elegantly furnished – some with genuine antique furniture and fabrics chosen to blend with the style of the building. 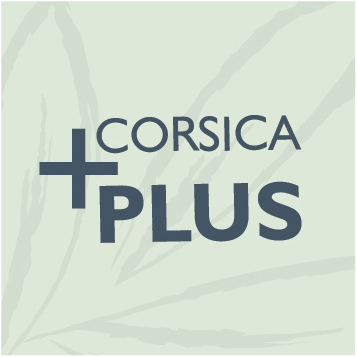 All this peace and tranquillity is only 10 minutes’ drive from Calvi and the beach. Heated swimming pool (12m x 5m, max depth 2.10m), Michelin star restaurant, Sinibaldi bar open 9am -1am, beach restaurant serving lunch, beach bar, spa including steam room, Jacuzzi, fitness room, Wi-Fi. En-suite bath or shower room and wc, television, telephone, iPod docking station, mini-bar, safe, air-conditioning, Wi-Fi, balcony or terrace. Double bedroom that is 30-32 m². It has a bedroom with a little lounge corner, a bathroom with shower and bath, (some only have a bath) and a separate toilet. Terrace or a balcony (8m²- 10m²) with a view of the gardens. Double bedroom (twin available on request) that is 38m² - 42m² and has a bedroom with a sitting room area, a dressing area, a bathroom in marble or ancient ceramic with shower and bath (some with just a bath) and a separate toilet. 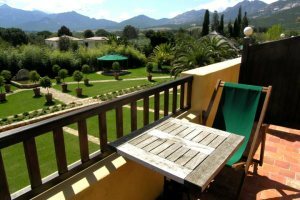 Terrace or a balcony (8m - 10m²) with a View of the gardens and mountains. A double bedroom that is 45m² - 70m² and has a separate lounge, a dressing area, a bathroom in marble with shower and bath a separate toilet. 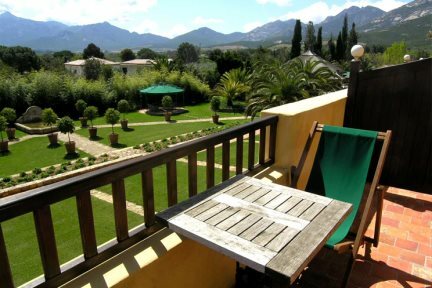 Terrace or a large balcony (12m² - 15m²) with a view of the gardens and mountains.